The Turkish Ministry of Foreign Affairs no longer provides visas on arrival (at airports) to foreign travelers. All Turkey visa applications must now be submitted well in advance abroad or through the e-visa application system, if eligible. 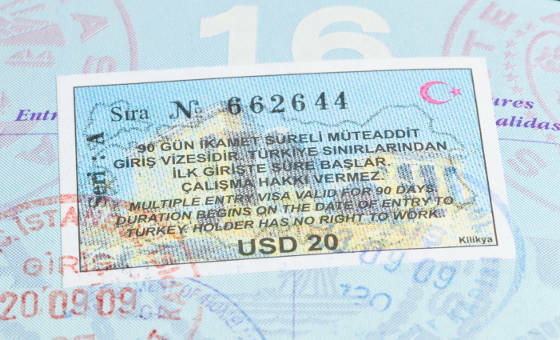 Those traveling for tourism or business for 90 days or less within a six-month period may apply for a visa online at www.evisa.gov.tr or at the nearest Turkish Embassy or Consulate. The Turkish Embassy currently states that U.S. passport holders may purchase a sticker visa upon entry for USD $20, payable in cash. Turkey Tourist Single-Entry Visa - This visa is granted to those who want to enter Turkey once during the three (3) months validity period. This type of visa is often used by those who want to spend some time for pleasure in the country. Turkey Tourist Multiple-Entry Visa - This visa is granted to those who want to enter Turkey more than once during the 5-year validity period. With this type of visa, you can reenter the country multiple times and stay for up to three months each time as long as the visa is valid. Turkey Business Single-Entry Visa - This type of visa is granted to those who want to enter Turkey for business-related purposes. It is important to follow the given business requirements on your application. This type of visa is also valid for up to three (3) months upon arrival. Turkey Business Multiple-Entry Visa - This type of visa is granted to those who need to enter Turkey for business more than once. The same requirements (as with the Business Single-Entry visa) apply. This visa type is valid for 5 years upon issuance and you are granted multiple entries during the allowed period. 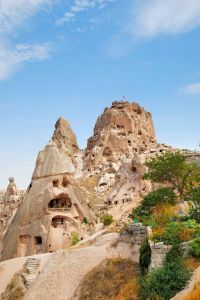 A Turkey visa applicant is required to pay either $60 for a single entry (tourist or business) visa application or $200 for a multiple entry (tourist or business) visa. 1. You need a copy of your signed and valid US passport. Make sure that your passport is valid for three (3) months beyond your planned visit to Turkey. You must also have at least one blank page on your passport as your visa will be affixed on that page. 2. You also need one (1) passport sized (2 x 2 inches) photograph taken by a professional photographer. Abiding by this requirement can eliminate unnecessary delays. 3. 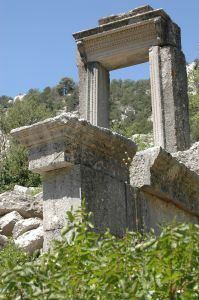 You also need a copy of your roundtrip ticket or itinerary. This must contain your name. 4. If you are applying for a Turkey business visa, you also need to present a business letter written on your company letterhead. The letter must contain the following information: reference name or firm in Turkey, details of your nature of business, duration of stay details, and your company's guarantee of financial responsibility for travel related expenses. An invitation letter from the counterpart company in Turkey is also required. 5. If you are a non-US passport holder, you need to provide a proof of your legal status in US such as a copy of your green card, a valid visa, etc. Click here to apply for expedited courier service for Turkey visas.